We sometimes have a love-hate relationship with our nonstick cookware. After all, it's certainly easy to use and you don't have to worry about your food sticking, but you have to be careful about what utensils you use with them. They also wear out more quickly than other kinds of cookware, especially our favorite, cast iron. However, you can help your nonstick cookware last a little longer by using the right tools, namely a nonstick spatula that will be gentle on your skillet. 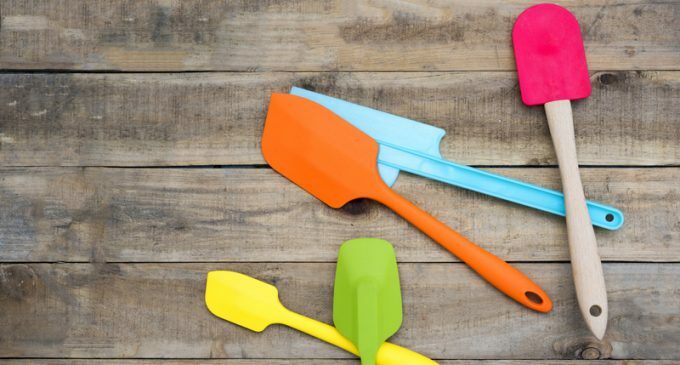 Not all nonstick spatulas are made alike, however, so we recently set off in search of the best, and we found a couple of recommendations from the Serious Eats website that we can't wait to try! The site evaluated several spatulas using a number of criteria, including durability, thinness vs. strength, and how easy they were to clean. They came up with a couple of really exciting options that you may want to consider adding to your kitchen right away! To learn which nonstick spatulas made the list, please continue to Page (2) for the results.